Which months are off-season months in India? The beginning of May until the end of September is considered off-season time for tourism in India. This period is divided into two seasons weather-wise i.e. May to June (summer season) and July to September (monsoon season). 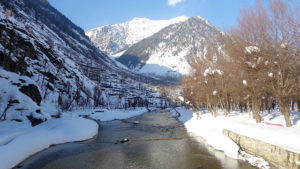 May and June are relatively busy months for tourism in the Himalayas as schools are out for summer trips within the country and a lot of families plan trips to the cool hilltops to escape the heat. At India Someday, we strongly recommend tours to North India during the monsoons as the rains are light and the region does not receive prolonged spells of showers. You end up enjoying pleasant weather, light rains and green countryside. What is travelling during off-season like? As India is vast, it differs from region to region; also depending on whether you plan to visit during the summer or during the monsoon. The benefits of travelling during off -season time in India, other than in the Himalayas, you can expect to see many breathtaking sights and a lot less crowd while also enjoy great discounts on accommodation across India. Summer off-season months – Expect really hot weather (afternoon temperatures of 40 degree Celsius and rising). You must prepare yourself for the heat, travel slow and pick accommodation with air-conditioning. DO NOT WORRY, during these months we plan trips with A/C rooms and A/C modes of travel. It’s preferable to start exploring the city earlier in the day, come back for an afternoon nap or R & R at the hotel and then head back out after 4pm. Monsoon off-season months – July onward the heat gets more bearable, late 20 and 30 degree Celsius. Depending on which region you plan to visit you will encounter different amounts of rainfall. In general, the North (Delhi, Varanasi, Agra, Rajasthan and Gujarat) receive light showers never causing hindrance to travel. Mumbai, Goa and Kerala on the other hand receive heavy tropical rainfall. Having said that, if you embrace the warm rain, the regions is green, teeming with water, and the locals are happy! It really is a special experience, but it will rain! May and June are the hot months. They’re better avoided unless you plan to spend time in the Himalayas. If your dates are not flexible and you don’t mind the heat, fear not for we will plan your trip with excellent air conditioned hotels and modes of travel. Like we said, off-season rates are great! July to September are the monsoon months. 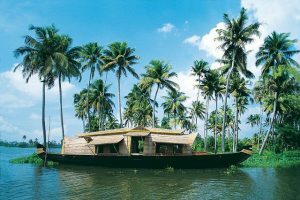 They are still considered off-season months for travelling in India and you also enjoy fabulous discounts. Kerala (South) receives a lot of rain during these months. However, we believe it is a great time to tour the North. Across India, you will enjoy fabulous hotel deals. Expect budget hotels to be 30% cheaper and upper end hotels to be up to 50% cheaper. India has an amazing collection of palace and boutique hotels, that are affordable, and less crowded. India is a land of festivals, and a lot of festivals are celebrated in August and September. These festivals offer a variety in diversity, such as harvest and religious festivals like the Ganesh Chaturthi (festival for the elephant headed god), Onam (a ten day harvest festival in Kerala), Navratri (nine days festival to celebrate every form of the mother goddess) and Dusshera (religious festival based on the Hindu mythology of The Ramayana). If you are unsure about when you want to visit India or how to organise your trip during off-season time, plan your trip with us. We can help you using our travel expertise and candid advise. Traveling during the off-season may work out in more ways than one with the correct attitude and insight so just give us a shout and we’ll help you plan the best trip possible for this special time of the year. There’s always something great going on in India, and we know exactly where it all is! Check out also our Blog weather series for the different months in India. If you are still not sure when to visit India or where to go at the time you intend to travel, plan your trip with us and we can help you figure it out.